Nothing could fully prepare me for what I experienced in Kenya. Before leaving, I thought I knew what to expect. We had discussed Kenyan culture in our meetings, we had read about some of the history of Kenya, and we had talked about the role of religion in Kenyan life. I felt like I had a good grasp on what I was going to experience on this trip. 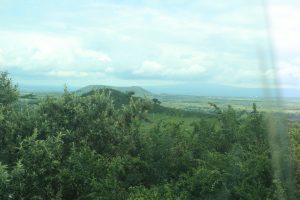 As the vans came to a stop in Maai Mahiu, I quickly realized I had been mistaken. I knew that we were here to meet with the Women of Courage, go to their homes, and pray with them. I could feel my stomach begin to tighten as I got out of the van. I said a quick prayer, “Lord, give me the strength to do this.” I had never witnessed this kind of poverty and I feared that the women would not want us in their homes. It was then that God reminded me of the work I had done before the trip. I had learned that Christianity operated in a very communal manner, and this included prayer. While nothing could have prepared me to walk into a tiny, one room home that held a few pieced of furniture and pray for a woman whom I had never met before, the learning we did before leaving for the trip allowed me to understand it. I knew about the communal aspect of Christianity and that gave me the peace of knowing it was acceptable for me to be in these women’s homes, hearing their story. This peace gave me the opportunity to pray for one of the women. Standing in her home, hearing her story, seeing her children, and then lifting her up to the Lord in prayer was a moment I will not soon forget. 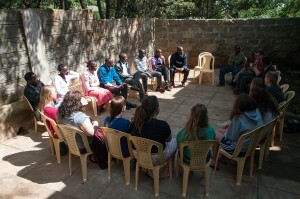 Understanding the community and bond that is present in the Kenyan church made that moment even more meaningful. 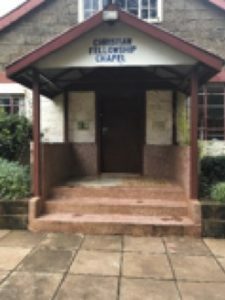 Even though I lived in another continent, I felt like I was part of that Christian community in Maai Mahiu. Great read! Thank you for sharing your blog!